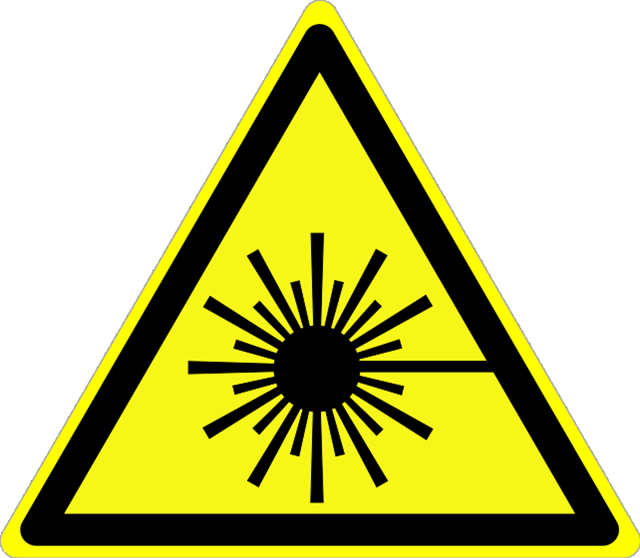 There are many misconceptions about safety requirements of laser operation as well as many factors being left unknown to even the most seasoned laser operator. Everyone at Trotec is dedicated to educating our customers on their machine and how to safely operate it at all times. With this in mind I would like to go over a few of the basics with you; including laser classification, proper handling of laser components, and general rules of safe operation. There are 5 different classifications of a laser. 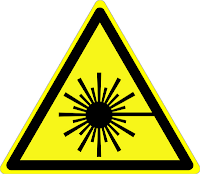 The classification rating is based on the capability and/or possibility of the laser injuring an operator during use. Injury can include burns to the cornea, severe burns to skin, and danger of fire to clothing and other objects. The classifications are denoted mostly by roman numerals and sometimes letters (i.e. III, III-A). Trotec’s flatbed laser systems fall under the Class II Laser Safety requirements, meaning that one is exposed to invisible laser radiation but is protected due to the machine’s safety precautions; including: protective lid (has a protective coating to disperse radiation levels), interlock system (prevents the laser from operating if lid or side panels are opened or not properly in place), and ability to stop laser process instantly. Unless installed in a work station, Trotec’s Galvo laser systems fall under the Class IV Laser Safety requirements, meaning one is directly exposed to invisible radiation and there are not any safety precautions installed. Lasers can cause severe and permanent damage to your eyes if not protected. When operating a Class IV laser it is imperative to where regulated protective glasses to protect your eyes from invisible radiation. There are laser safety goggles available that will protect your eyes from the radiation, for more information on purchasing the correct safety goggles please contact our Technical Support Team. Safety guidelines are regulated by both OSHA and local authorities, so when operating a Class IV laser it is important to check your local guidelines. Lenses: It is important to check your lens on a regular basis. If the lens is dirty you will want to clean it, proper lens cleaning is discussed in Clean Lens Clean Results. 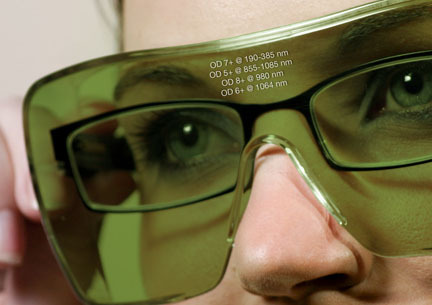 The chemicals used to make laser optics are hazardous, so never handle the bare, cracked, or broken lenses without protective gloves. It is important to dispose of used laser optics at a licensed industrial waste facility, which is in compliance with all local, state, and federal regulations. Check local listings for a facility near you. If you do not have a local waste facility, you may return the lens in a sealed zip-lock bag to Trotec for proper disposal. For more information on proper cleaning and maintenance of your laser please refer to our blog, Better Health for Your Trotec. It is important to understand safe operations of the laser. There are a few simple rules to follow to ensure your laser machine remains in working condition. To start, never leave a laser unattended while running a job. The laser is burning through materials and if left unattended the materials could catch fire and burn within your laser system. This can severely damage your machine, your place of business, and anyone located within the building. Continuing with the possibility of fire and potential damages, always run your laser with a proper fume extraction system. It is easy to setup proper fume extraction either internally or externally. If you choose to exhaust externally always check the specific requirements such as CFM before purchasing a system. 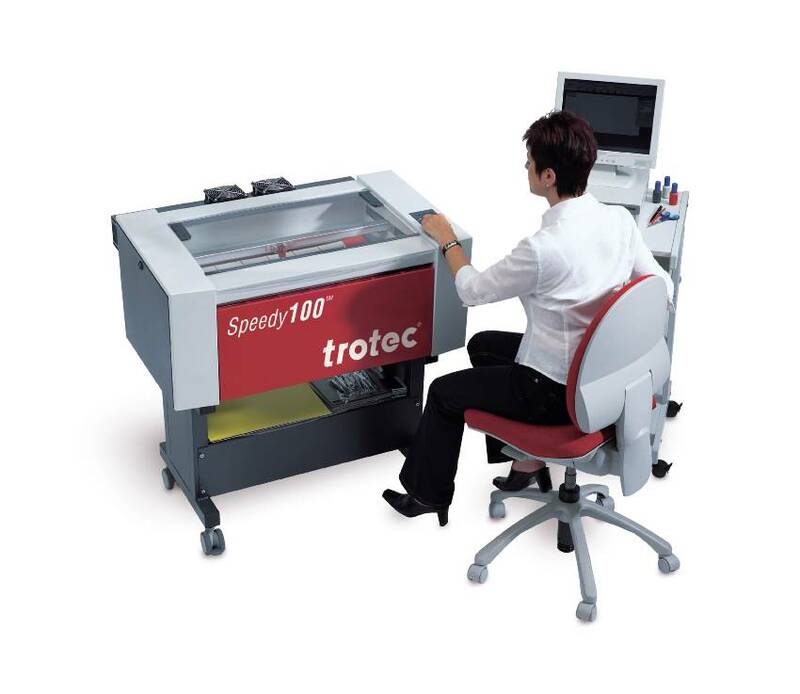 Trotec offers easy to use internal filtration systems that can be programmed to turn on when the laser is processing jobs and turn off after completion. If you already use one of Trotec’s fume extractors, always remember to replace your filters when the machine indicates to do so. Proper wiring and electrical requirements for the laser at your facility are critical. Most of our systems run on 115V with 15 Amps; however, many of our large format and higher powered systems required 220V with 20 Amps. Trotec offers free phone technical support throughout the life of your laser, if you have any questions about preparing your facility or safety requirements please do not hesitate to contact us. Back to You: Do you have any more questions about laser safety. Let us know, we're happy to help!